Next stop for the MG Crash Repairs owned by Mark Gaffney from Dublin, Ireland team is the Bucharest Grand Prix in Romania this weekend! 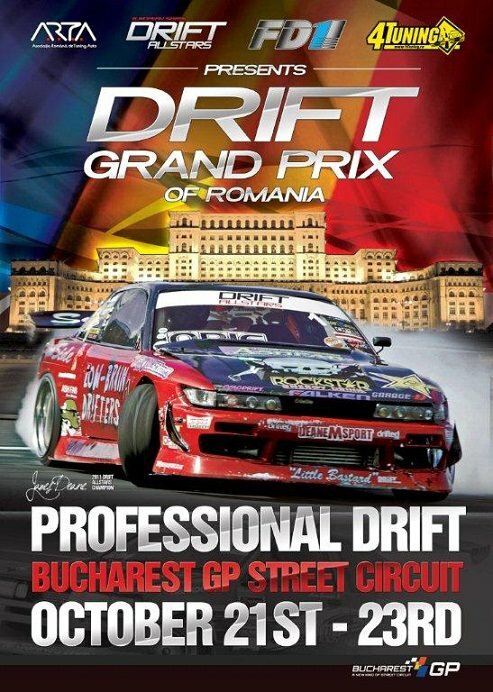 As we speak the car is already in Bucharest and the team join up with the car early Friday morning in preperation for what has to be one of the biggest drift events to be seen in Europe this year. Located on the streets of Bucharest with the World famous People’s Palace (Casa Poporului) as the backdrop this is a one of a kind event. With champions from all across Europe competing for the €10,000 purse the competition will be fierce for the top step of the podium. The event gets underway with a parade through Downtown Bucharest on Friday night and the track action kicks off Saturday afternoon with Practice and Qualifying for the main event Sunday. 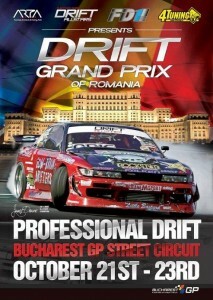 For more information on the Bucharest Grand Prix go to media partners 4tuning.ro and check out their in depth features on the drivers and other news related to the Bucharest Grand Prix 2011. 1 User Responded in " Bucharest, Romania Grand Prix Oct 21-23 2011 "
I’m looking to get a blog post published for a client of mine in the insurance sector. Is This Possible on http://www.funkymotors.ie?